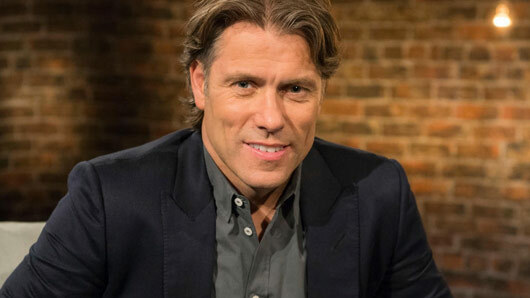 John Bishop has promised that his new chat show on W will be “”different to any chat show I’ve been on”. He explained “I’ve been on a number of chat shows and I’ve enjoyed them but I’ve found that they’re driven towards the funny anecdotes” and “it just felt like there was a gap where you could actually learn something about people”. John Bishop has promised that his new chat show John Bishop: In Conversation With… on W will be “”different to any chat show I’ve been on”. He cited American series Inside The Actor’s Studio as one of his inspirations for the new format, a show that features a one-on-one interview with a prominent celebrity each episode. The series is well-regarded in the entertainment industry, with host James Lipton’s guests including 74 Academy Award winners. Bishop also took inspiration from BBC Radio 4 show Desert Island Discs for its “eclectic mix of people”. Throughout the course of the series. Bishop will chat with James Corden, Jo Brand, Steve Coogan, Lenny Henry, Alex Brooker, Rupert Everett, Charlotte Church, Freddie Flintoff, Miriam Margoyles and Kirsty Young. On how the series is different to any chat show Bishop has been on, Bishop revealed none of his interviews are scripted or pre-planned in any way. He said: “If you go on a chat show, someone phones you up and does a research chat. They’ll say ‘look, we wanna ask you about this’ and ‘have you got anything on that?’. John Bishop: In Conversation With… will begin tomorrow (September 1) on W at 9pm, with James Corden as guest. A new official image from Sherlock series four has been released. 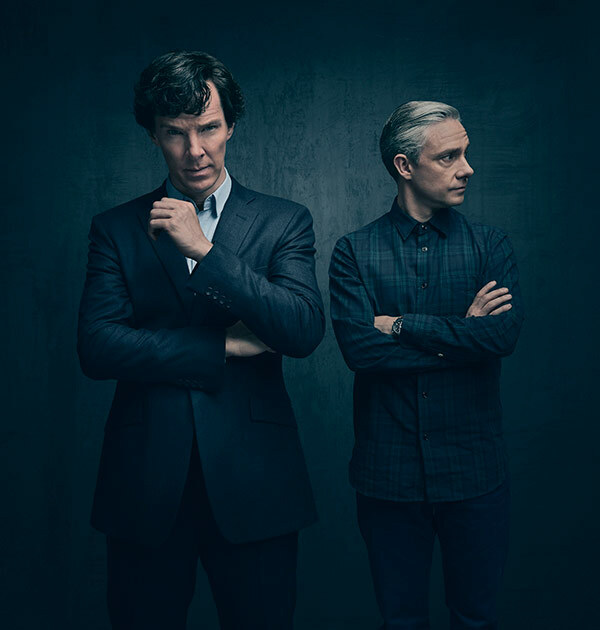 The image, which features Benedict Cumberbatch as Sherlock Holmes and Martin Freeman as John Watson, does not reveal anything about the plot for the new series. 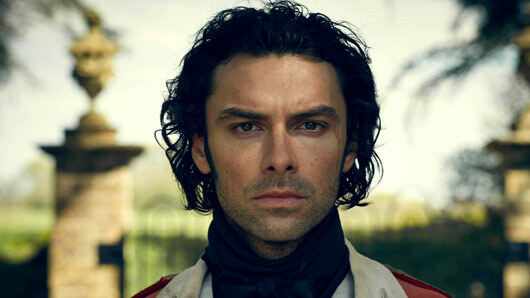 However, it is a stylish reminder that the much-loved drama will return on New Year’s Day 2017. A new official image from Sherlock series four has been released. 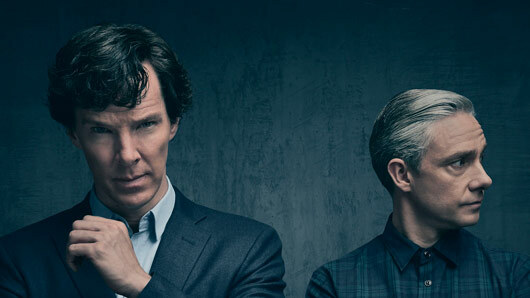 The image, which features Benedict Cumberbatch as Sherlock Holmes and Martin Freeman as John Watson, does not reveal anything about the plot for the new series. However, it is a stylish reminder that the much-loved drama will return on New Year’s Day 2017. Although not much is known right now on the storylines for next year’s episodes, producers Mark Gatiss, Steven Moffat and Sue Vertue did drop three big hints at San Diego Comic Con this year. These three hints were the names: Smith, Thatcher and Sherrinford. Fans have speculated that Smith refers to Culverton Smith – a man Sherlock tricks into confessing to murder in Conan Doyle’s original stories, Sherrinford refers to Sherlock’s hypothetical older brother, and Thatcher… well, no one is quite sure about Thatcher. Can it be 2017 already? Sherlock will return to BBC One on New Year’s Day 2017. Netflix has today confirmed what we kind of always already knew. Cult sci-fi sensation Stranger Things will officially be returning for a second season, with writer-creators Matt and Ross Duffer returning, plus their fellow executive producers Shawn Levy and Dan Cohen also coming back to the series. 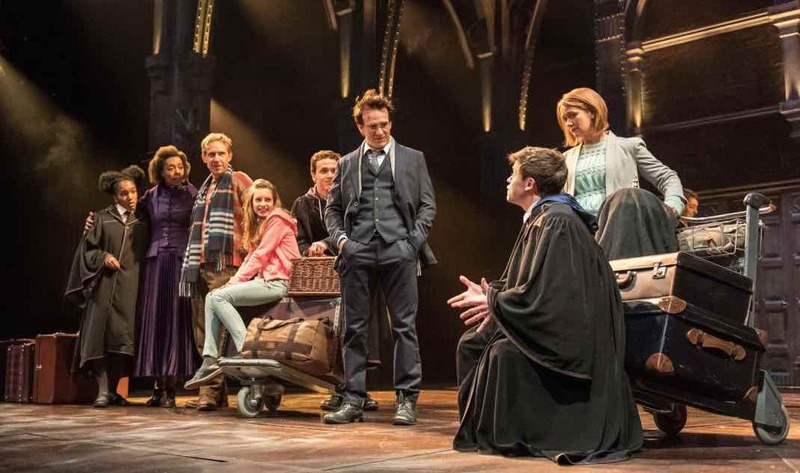 J.K. Rowling may have expressed her reticence to make Harry Potter and the Cursed Child into a new feature film, but considering the success of the new sell-out play and accompanying best-selling book, we can’t say we’re surprised by the reports about Warner Bros. approaching Daniel Radcliffe to reprise his titular role for a new movie venture. “Warners is secretly working on getting the movie rights and a screenplay settled, and of course in their minds only one man should be Harry. However he has made it clear that his mind is certainly not focused on returning to the role anytime soon — and that could be until he hits 40”. “Daniel had that job for over a decade with huge success and critical acclaim, but since then he has really established himself as a very strong actor with films like The Woman in Black and his Broadway work”, the source continued. “He doesn’t need to go back for money or to reboot his career, so he will need some persuading”. So, are the rumours just rumours, or can we expect Daniel to don the round specs once more? Stay tuned for updates as we learn of them! 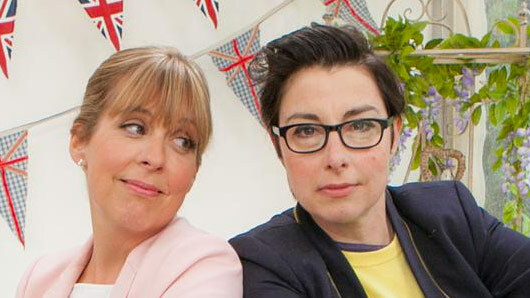 Sue Perkins is set to miss tonight’s (August 31) Great British Bake Off. For unknown reasons, it has been revealed Mel Giedroyc will present the second episode of the sixth series all on her own. However, Giedroyc was quick to reassure Bake Off audiences that her partner-in-crime has not gone for good. It will be the first time in six seasons of the show’s run that Giedroyc and Perkins have not hosted together. Their partnership has been praised by many as crucial to the show’s unexpected success. Bake Off judge Mary Berry recently explained: “The four of us, Mel, Sue, Paul and me, are a team. We get on really well and our aim is to make a good programme. The Great British Bake Off airs tonight at 8pm on BBC One. 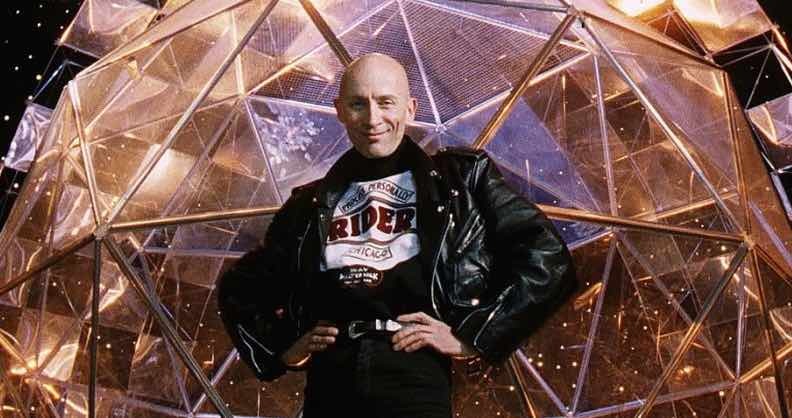 With teams taking part in the immersive experience of The Crystal Maze Live in London recently, Channel 4 is reportedly set to bring the cult gameshow back to our screens this October for a charity special. According to The Sun, the problem-solving show will be revived for a big-budget celebrity special for Channel 4’s Stand Up To Cancer programming season, after 21 years of being off the air. And former Doctor David Tennant is a popular favourite to step up as host. Were he to grab the gig, Tennant would be following in the footsteps of The Rocky Horror Picture Show creator Richard O’Brien, now aged 74, and punk rocker Ed Tudor-Pole, aged 60. A TV insider said of the revival: “Even two decades after it last aired, there are very few shows that have been as magical and action-packed as The Crystal Maze. It is still remembered extremely fondly today. “Channel 4 are hoping to tap into that nostalgia and believe viewers will jump at the chance to finally take on the show’s adventurous challenges themselves”. We believe they might be right. 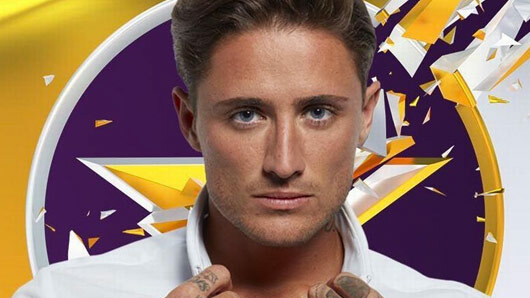 Celebrity Big Brother winner Stephen Bear has revealed he was paid £12,000 to appear on the reality series and was the lowest-paid housemate participating this year whilst on Loose Women. Celebrity Big Brother winner Stephen Bear has revealed he was paid £12,000 to appear on the reality series. Bear was making his debut appearance on ITV’s Loose Women when he made the admission, before claiming he was the lowest-paid housemate participating on this year’s series. Interestingly, regular panelist Katie Price claimed she knew of celebrities who had agreed to the series for just £1,500 in the past. Despite bagging what could be considered a bargain for CBB producers, Bear admitted he would have taken part in the series for even less money. “I would have done it for nothing. This is what I got all day [in the Big Brother house]: ‘I got this much money, I got that much money’. Who cares? It’s just a bit of paper. Bear also announced his plans for making the most out of his fifteen minutes of fame, revealing that his brother is in charge of investing his finances in property. It is a strategy that is likely to be successful, as Bear’s brother is the multi-millionaire who sold Euphorium Bakery to grocery giant Tesco last year. However, Bear claims he didn’t get a scrap from his entrepreneurial brother. “He didn’t give me a penny growing up, but it is what it is. And now, he’s proud of me. We had a chat. I cried. We’re going to make some serious money together. Season seven of The Walking Dead is edging closer, but we’re no nearer to learning who Negan killed at the end of season six. Ever since that cliffhanger, we’ve debated the identity of the individual clobbered to death by new series villain Negan. Could it be Glenn, as it was in the comics? Or how about Daryl, like new footage seems to suggest? One character that could be off the chopping block is former solder Abraham, however, after actor Michael Cudlitz dropped a big hint in a new interview. 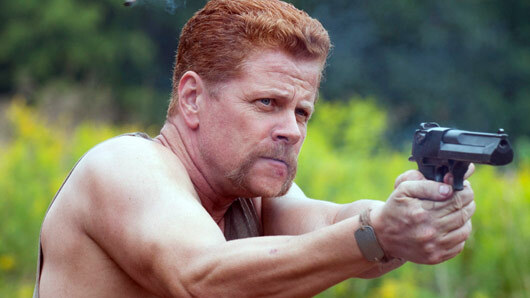 Speaking to PopSugar, Cudlitz talked about the decision to change Abraham’s death scene from the comics last season. While Abraham was supposed to die after being shot through the head with an arrow, it was Denise who met her end in this grisly manner in the show. If we’re going to see a world with both Negan and Abraham, that means our favourite ginger has to survive. Right? That’s not all, as the same interview offers a second hint towards Abraham’s survival. Cudlitz later confesses he “can’t wait to get the script each week”. That sounds like he’s still on the show. It sounds promising, but Cudlitz wouldn’t exactly be the first actor to lie about his character’s future on The Walking Dead. The only thing we can expect from The Walking Dead is the unexpected, so we’re not falling for anything anymore. The Walking Dead returns to FOX UK on October 24.